Glaucoma is an eye disease that damages the optic nerve progressively if untreated. This disease will slowly cause loss of your peripheral vision and eventually possible blindness over time. Risk factors include family history of glaucoma, age, elevated eye pressures and a history of diabetes. There are no symptoms of glaucoma in the early stages. That is why this eye disease has been coined the silent killer of eyesight. Since you are unable to feel elevated eye pressures, it is possible that vision loss is already occurring without your knowledge. 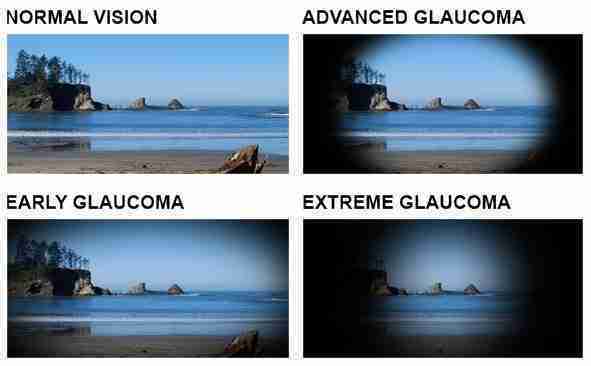 This is why it is so important to have an eye exam every year to monitor for glaucoma even if you do not feel like there is any change in your vision. If glaucoma is diagnosed, there are many glaucoma eyedrops and surgical approaches to treat glaucoma. Detecting and treating glaucoma in its early stages is the best way to prevent further optic nerve damage or vision loss. The comprehensive eye exam at Optic Gallery Sahara includes several tests which help our doctors monitor for glaucoma. These tests include measurement of your eye pressure, screening peripheral vision tests, and physical visualization of the optic nerve with dilation. Digital retinal photography is a great method we use to detect subtle changes over time in the form of a photo documentation. Call our office today to schedule your comprehensive eye examination including glaucoma evaluation.